The family of a Pakistani man who was killed while trying to rescue his Christian daughter from a forced Islamic marriage has been given hope for justice after the men who killed him were charged over the murder by state authorities. The British Pakistani Christian Association reported the news on Sunday, noting that both Muhammed and Zahid Iqbal have been arrested in connection with Tanveer Masih's murder, though a police search is still underway for fugitive Tahir Iqbal. Masih was shot dead on May 31 by two assailants on a motorcycle, reportedly after he was invited by one of the cousins of the men who took his daughter to discuss her return home. Fourteen-year-old Mehwish was kidnapped by Zahid Iqbal in Shadab Colony in Faisalabad after she went there to work as a domestic servant, but was raped and forced into an Islamic marriage. BPCA, which advocates for persecuted Christians in Pakistan, started a petition and pressed the case to police who eventually implicated Zahid Iqbal and his brother, Tahir Iqbal, along with their father, Muhammed Iqbal, in connection with the murder. Zahid has since confessed to the murder, leading BPCA to express confidence that the murderers will face full prosecution within the next few months at Faisalabad High Court. "International pressure is starting to bring change and the current government is fashioning processes that in decades to come may result in a fairer Pakistan. The main challenge they will face is how to remove societal hatred for minorities," said Wilson Chowdhry, chairman of the BPCA. "The longer they take to amend existing bias in the national curriculum of Pakistan, the more the hatred toward minorities that is inculcated from school age is allowed to fester and will continue to espouse polarization. This simply creates a sense of worthlessness of minority communities." The 14-year-old girl remains missing, however, and BPCA is calling on Christians to pray for her safe return to her family. Najma Tanveer, the widow of Tanveer Masih, said that God has delivered her family at a time of destitute. "I have lost my husband Tanveer but thank God that I know he is safe in His presence. The cruel men that destroyed our lives will have to answer before God one day but even before then, I believe they will be punished here on Earth too," she said. "I want my daughter Mehwish back so desperately, she should be in my arms that I can protect and comfort her. Please ask Christians to pray for her safety and return." Besides the petition calling for an end to the abductions, rapes, and forced marriages of minorities to militants in Pakistan, the persecution watchdog group has also started a fund to help pay the living expenses for Najma Tanveer's family, so that the young girls can go to school rather than have to go into dangerous employment. 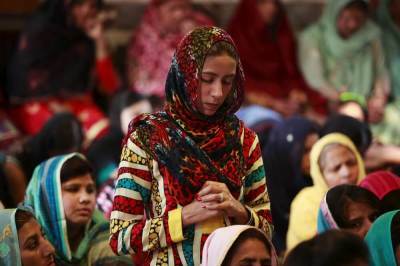 Christians in Pakistan have suffered greatly and in most cases received little help from police in the various attacks carried out by Muslim radicals. Back in June, a Christian mother of five was beaten and gang-raped in Lahore over rumors that her sister fell in love with a Muslim man and ran away. 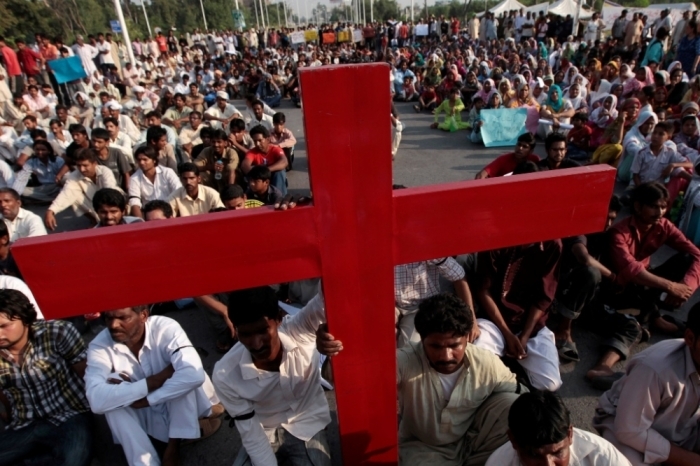 Christian lawyer Aneeqa M. Anthony, coordinator of the NGO "the Voice Society," urged Christian politicians in Pakistan to do everything they can to intervene on behalf of Christians, so that those responsible for hate crimes are held accountable for their actions.